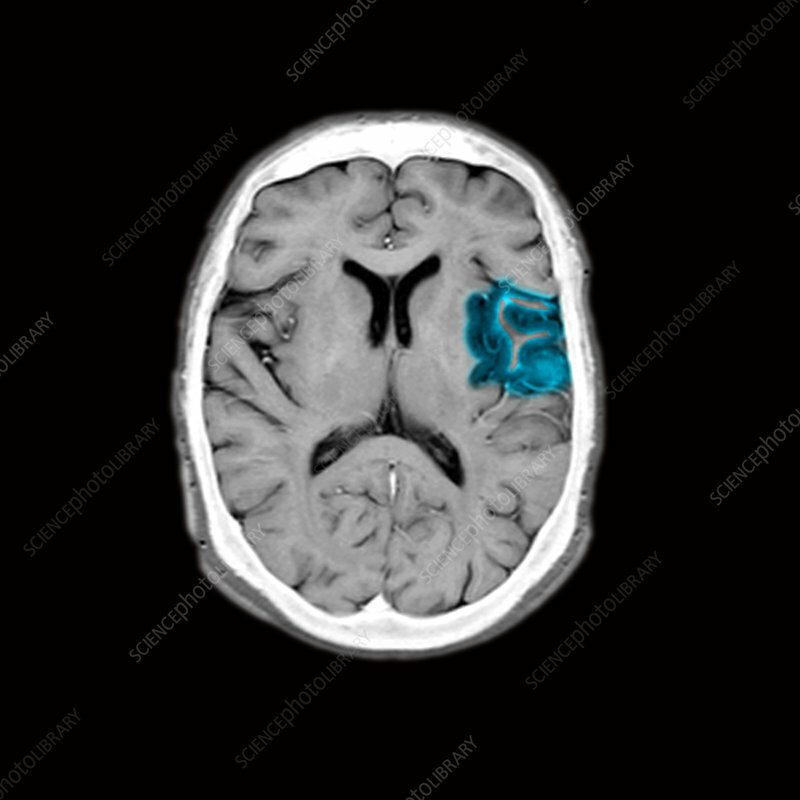 MRI (magnetic resonance imaging), showing a cross section of the brain of a patient with the acute onset of a Brocas aphasia (the inability to verbalize language). This function is usually found in the left side of the brain in a region where stroke occured (the left frontal operculum). With MRI we can diagnose strokes with special images within minutes after the onset of symptoms.